The state-of-the-art modular and fully compatible series of non-invasive electrical brain stimulation devices and accessories. The most precise and reproducible systems, customized to your clinical trial. The 1x1 platform stimulators are the most precise stimulators ever made for non-invasive electrical stimulation, including unique control features not available on any other products. Better technology means better outcomes. Soterix Medical believes that in advanced neuromodulation one size does not fit all, the 1x1 platform includes five stimulator devices, upgradable adaptors, and state-of-the-art accessories customizable to your needs. 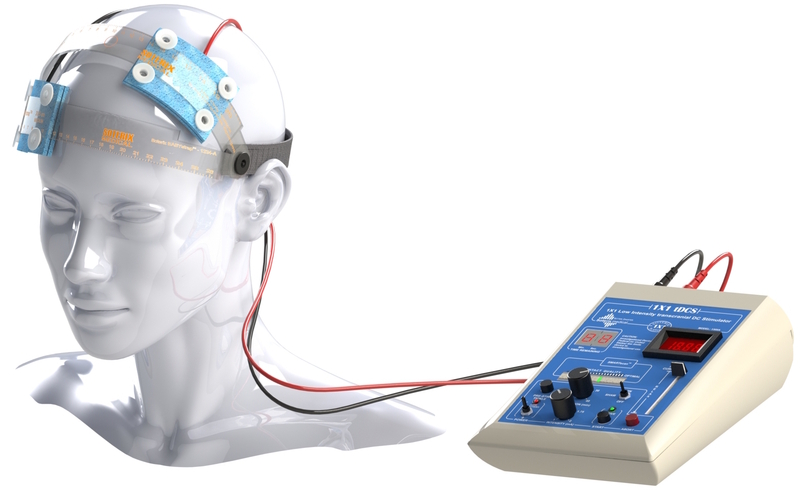 Transcranial Direct Current Stimulation (1x1 tDCS) for industry standard control and safety. tDCS with Limited Total Energy (1x1 tDCS-LTE) unique safety feature for susceptible populations. Transcranial Alternating Current Stimulation (1x1 tACS) for unmatched precision in AC. Transcranial Electrical Stimulation (1x1 tES) for versatile solution in a single system including tDCS, tPCS, tACS, and tRNS. 1x1 Clinical Trials (1x1-CT) for the most advanced solution for true double-blind clinical trials in tDCS, tPCS, tACS, and tRNS. Designed for Neuromodulation. Customized for your trial. In advanced neuromodulation “one size does not fit all”. A single design that tries to achieve everything, compromises everything leaving subjects at risk. Soterix Medical devices and accessories allow simple configuration and customization. 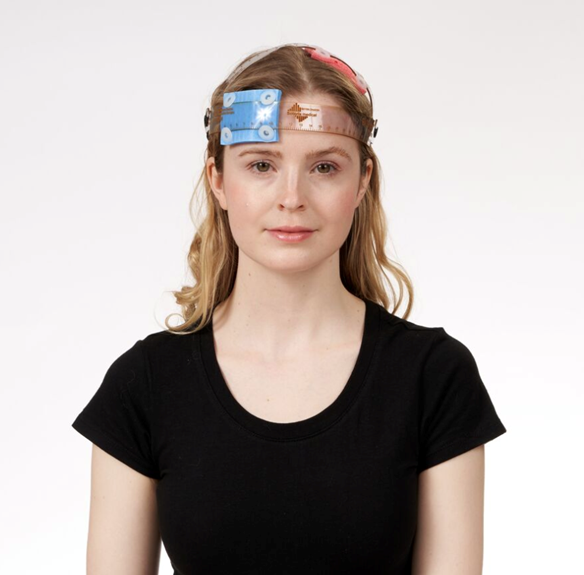 Soterix Medical is the trusted leader in tDCS and related technologies because we provide clinicians and investigators with the only accessories designed for tDCS/tPCS/tACS/tRNS. 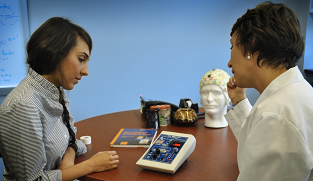 To understand the Soterix Medical's Open-Panel interface, one needs to consider how tES and tDCS are applied in the best clinical and academic centers. The risk of relying on a wireless connection with a computer to control and monitor the device is not acceptable. Similarly, complex and hidden drop-down menus create inherent risk in programming mistakes. A single mistake can compromise subject safety and the integrity of an entire clinical trial. For medical grade equipment, device status and subject monitors should be clearly visible on the device display. Soterix Medical devices, including features such as Open-Panel, are chosen when patient tolerability and trial integrity cannot be compromised. Avoid confusion and mistakes. Save time. 1x1 devices can be programmed in seconds with simple switches and controls. With stand-alone 1x1 stimulators, there is never a need to use a personal computer for interface. This reduces your cost, complexity and potential errors. A single programming error undermines reproducibility and safety of an entire trial. Open-Panel reduces errors even under multiple-user or high-throughout conditions. Devices prevent current transients even under unexpected conditions such as sudden re/dis-connection. Soterix Medical is the trusted leader in tES by designing safety factors for the unexpected. Researchers and clinicians choose Soterix Medical products knowing that they are backed by the most experienced neuromodulation engineers, regulatory staff, and clinical trial design consultants. Soterix Medical was founded with one mission: to advance the science of neuromodulation. We are your partner every step of the way. Only HD-Explore™ for tDCS allows you to simulate any tDCS montage, not just a sub-set, on a range of standard head or custom loaded head models. But consistent with our Open-Panel™ design principles , HD-Explore™ software is stand-alone from hardware, available when you need it and not when you don't. Soterix Medical Neurotargeting Software allows the user to stimulate any transcranial Electrical Stimulation montage. You decide the number of electrodes and current intensity. Simply position the electrodes relative to the EEG 10/10 (70+ scalp locations) system or a dense concentric system (300+ scalp locations), thereby allowing inclusion of intermediate scalp or neck positions. Use our standard head library or import your own anatomical scans. 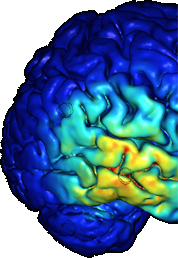 Arbitrary electrode montages and head models: exclusively from Soterix Medical Neurotargeting Software.